Found one file extension association related to Pirates of the Burning Sea and 1 file format developed specifically for use with Pirates of the Burning Sea. Plunge into the high-stakes world of 18th Century seafaring with Pirates of the Burning Sea. Set against the backdrop of the New World, this MMORPG allows players to skillfully navigate both land and sea as English, French, or Spanish captains or sail under the black flag as a member of the Brethren of the Coast—a pirate. Successfully engage in tactical ship combat, swashbuckling adventures and cutthroat economics to advance in each career path. Loyal nationals strive to master navigational skills as Naval Officers, Privateers or Freetraders. Pirates terrorize the seas as manipulative Buccaneers or brutal Cutthroats. Players hone their fighting skills by training in classic Fencing, flashy Florentine, or Dirty Fighting styles and develop specialized corresponding moves. These skills come in handy when forced to engage in one-on-one duels that test the skill, balance and mastery of each player. On the seas, players engage in fierce ship-to-ship battles with real time combat in customizable, historically inspired ships. Against the deafening cannons and choppy waters, players try to out maneuver their opponents, board, and take control of enemy vessels. 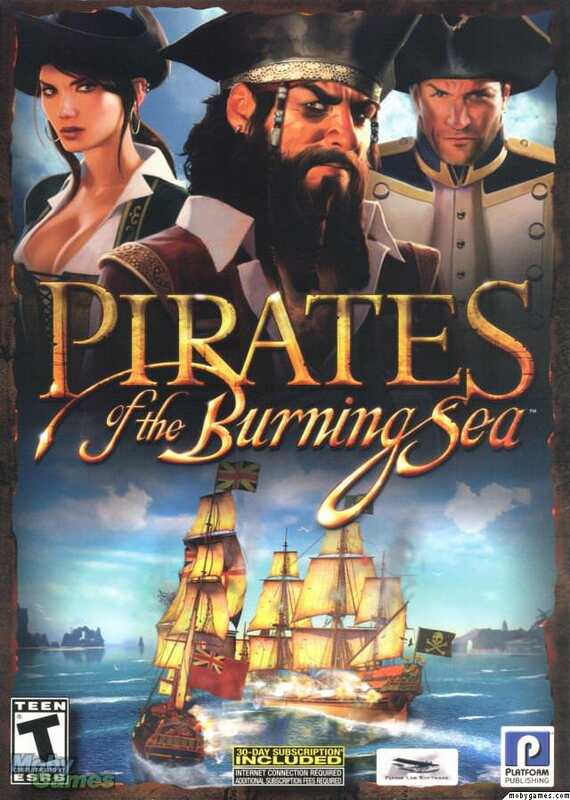 Pirates of the Burning Sea features a player run economy, where captains can forge their own empires across the Caribbean. By building quarries, distilling rum (to boost morale) or managing large scale production and distribution, players contribute to the high-stakes world of commerce. In a place where profits are the dream and desperate measures the reality, it's no wonder pirates live by the maxim "dead men tell no tales." With rich user-created content, epic missions and stunning graphics, Pirates of the Burning Sea satisfies every adventurer. If you need more information please contact the developers of Pirates of the Burning Sea (Flying Lab Software), or check out their product website.